I am currently doing a remote start on a MT rx-8 (not mine) and I was wondering how to bypass the clutch and not loose the cruise control? I think that there is a neutral safety switch in the car that keeps you from starting it in gear if the clutch safety switch were to fail. On all the other MT remote starts that I have done I just bypassed the clutch completely but none of them had cruise control so it was alot easier. Has anyone attempted this yet? all years 04-06 should be the same. your starter wire is white/blue. easily found in the ignition harness. on the clutch, you should see 2 switches, one that is pressed when the clutch pedal is all the way out, this is your switch for cruise control. the other switch is your "neutral safety switch". you should also see a white/blue wire on this switch. the other one is the wire that actually leads to the starter. connect the starter wire from your remote start system to this wire. Thanks again lurch519. This was a huge help, and maybe now the neutral safety will end the controversy of evil with a remote start in a MT. Sorry for reviving this thread, but since it's the only place i've found proper info regarding the neutral safety switch it seemed like a good place. I'm putting in a remote start and I haven't seen any of this information anywhere on this site. The attached pic shows the relevant wire colors for a 2004 rx8. Mine is a 2006, and an important difference i've noticed is the ignition wire is blue/black instead of black/yellow. Can't speak for any other year models. For the neutral safety wire on the manual transmission- there are 4 wires that you'll see on the driver's-side of the transmission towards the top, each with their own disconnect. There are 2 black disconnects and 2 white ones; the black ones are the reverse switch and the white ones are the neutral switch. You can verify that by putting your car in reverse (obviously while the motor's off) and unplugging one of the black wires- your reverse lights won't work (be sure to plug them back up lol). 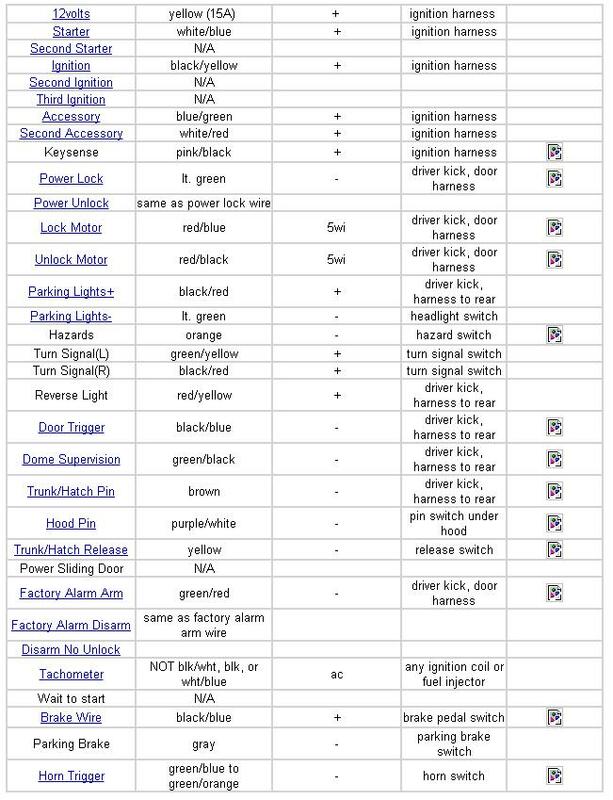 Attached pic is info from the12volt.com, which is an awesome resource for car electronic information. They've got wiring information for most vehicles. 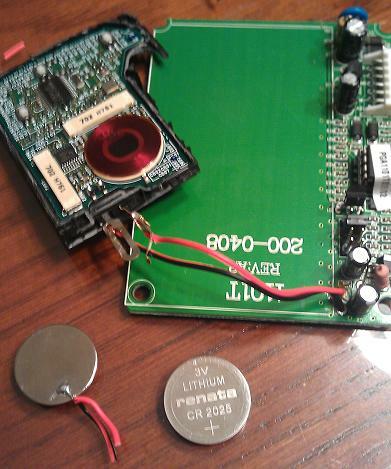 Since I have the "smart" keyless keys, the bypass i'm using is a DEI 1101t, which requires an extra key. It's the only bypass I knew for sure would work with my car. I got the bypass for $20 and a new key off of ebay for $30, and you can search my other posts for info on how to program smart keys (if you already have 2 working keys.) The bypass has a little disc that you put into the remote that replaces the battery, which allows the remote start to turn your key off and on at the right moments to allow the car to start. Since the key doesn't have power when the remote start isn't active, the car doesn't know it's there at all and it's still secure. It also turns the key off 10 seconds after you start the car, but I doubt that would cause the ignition to re-lock while the car is still running... we'll see about that after i get everything installed. I've also discovered that, since the rx8 only has 1 wire for both the lock and unlock signals, you possibly need relays to control the locks. 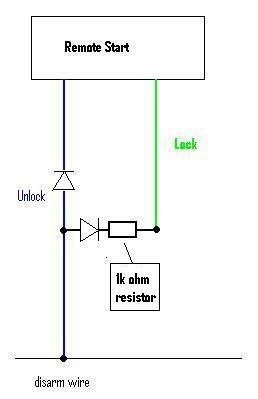 According to the info on the12volt.com, if you pulse the lock/unlock wire with regular ground it will unlock the doors, and if you pluse ground through a 1000 ohm resistor it will lock the doors. I have a python responder one which only has one button (push once to remote start, and then once again while the car is running to unlock the doors,) so i'm hoping i can just hook the remote start up without the ability to lock and avoid all the resistors and relays. Last edited by bkcberry; 06-07-2011 at 11:05 AM. Update: everything's installed and working correctly now. The ignition **** doesn't turn if there's not a valid key in the car, even after the engine is running. With the DEI 1101T there is a little coin cell adapter that you stick into the remote, but it was very flaky so I ended up opening the remote and soldering the bypass straight to the battery contacts of the key. Also, everyone says you have to use relays when you interface the locks in our car, and you don't! you just need diodes. Since the disarm wire in our car disarms the factory alarm AND unlocks all the doors, I had to hook the 2nd starter output wire to the lock wire (between the alarm and the diode). So as soon as I hit start on the remote the doors unlock, but when the car starts it locks again. They do not lock when I start without the R.S. Last edited by bkcberry; 06-22-2011 at 04:28 PM. Bump thread from 5 years of hibernation! IMO, it's always better to revive an old relevant thread than start a new one. Anyone know if this is specifically referring to manual transmissions? Seems like this process usually only applies to automatics. Anyone notice that the purple/white factory hood pin wire shows ground when the hood is CLOSED and not OPEN?